Contrary to many people’s beliefs, it is not actually an illness, but a symptom of other illnesses. A fever is defined as a temporary increase in body temperature. Once your body’s temperature goes over 37.5 degrees Celsius or 99.5 degrees Fahrenheit, you are suffering from a fever. Fevers are usually the body’s natural method of combating viruses or bacteria which cause infections within the body. A fever is a common response to common illnesses like the cold, flu, ear infections, urinary tract infections and tonsillitis. Once your sickness has been treated, your fever will also dissipate. As well as the familiar increase in body temperature, fevers are often accompanied by certain other symptoms including headaches, muscle pain, sweating and chills. We have written a huge amount on this site about the therapeutic relief offered by essential oils. Regular readers will not be surprised that they can be used to bring relief from fevers. As long as these oils are used properly, they offer a safe and natural alternative to powerful pharmaceutical drugs. Below are some of the best essential oils to use for your fever with some directions on the best way to use them. Peppermint essential oil is a popular natural remedy that is widely used to treat a wide range of illnesses. It is especially popular for treating respiratory conditions but it also has antipyretic properties making it the perfect cooling oil to reduce your fever quickly and naturally. All you need to treat your fever is a cold towel and 5 drops or so of peppermint essential oil. Add the oil to your cold towel and place the towel behind your neck. Leave it in place for some time and you should feel its relieving effects. Alternatively, dilute your essential oil in a carrier oil and rub it gently into your feet and neck. Repeat the treatment twice a day until your fever is under control. Not for Children : Peppermint essential oil is not suitable for young children. Spearmint essential oil has very similar properties but is considered more child friendly. Holy basil essential oil also known as tulsi essential oil is one of the most powerful oils that you can use to treat your fever. It has known antipyretic properties which help bring down your body’s temperature. Researchers have noted that holy basil helps reduce fevers in rats with diarrhea and typhoid. Using holy basil oil is generally regarded as a safe treatment method and has similar results to aspirin with far less risk of adverse effects in the long term. Holy basil essential oil also has antibacterial properties meaning it can help destroy the microbes which may have caused your fever in the first place. Simply combine your holy basil essential oil with a carrier oil like jojoba or coconut and apply the mixture to the bottoms of your feet and the back of your neck several times each day. Clove essential oil is full of medicinal properties including antibacterial, antioxidant and antifungal activities. It can be used to treat a wide range of ailments and is especially popular for treating oral infections and toothaches. Its main active compound is eugenol which has excellent antipyretic effects making it a great choice to treat your fever. Add 5 or 6 drops of clove essential oil to a towel and place it on your neck or forehead until it warms up. Alternatively, dilute your clove oil in a carrier oil and rub the mixture into the bottoms of your feet and neck twice a day until you are feeling better. Frankincense essential oil is an extremely popular and safe oil to help treat a wide variety of conditions including fevers. It is considered to be among the more gentle essential oils and one which is suitable for young children. Frankincense oil can help safely reduce inflammation and relieve the pain that often accompanies your fever. Simply dilute your frankincense oil in a carrier oil and rub the mixture into the base of you or your child’s feet several times a day. Alternatively add 5 or 6 drops to a cold towel and place it on your neck for 30 minutes or so. Another effective method is to add a few drops of frankincense oil to a cup of very cold water and use the mixture to sponge down your body several times a day. Spearmint essential oil has very similar properties to peppermint but is considered to be safer for young children than its cousin. Spearmint oil has excellent antibacterial properties which can help combat the infections that may have led to you or your child’s fever. Spearmint oil can also help relieve inflammation and kill pain naturally making it an excellent choice for headaches and fevers and any respiratory issues you may be suffering from. You can use peppermint essential oil for your fevers in the same way that peppermint essential oil is used for as long as necessary. Although it is most commonly used to treat respiratory conditions, eucalyptus essential oil is one of the most popular oils to treat a fever. Sometimes referred to as the ‘fever oil’, it can be used safely on children and comes with a wide variety of medicinal benefits. Simply dilute a few drops of eucalyptus in a cup of very cold water. Soak a sponge or a cloth in the liquid and apply it to you or your young one’s forehead. When the cloth gets warm, simply reapply the mixture. Among its many therapeutic properties, Roman chamomile essential oil has febrifuge activities. This means that it can help induce sweating which helps flush any harmful toxins from the body. Applying chamomile oil to you and your child’s body has a very beneficial effect on overall health and can help significantly reduce body temperature. Add several drops of your chamomile oil to a bowl full of lukewarm water. Soak a sponge or cloth in the mixture and apply it to your entire body starting with the neck and working your way down to the feet. Roman chamomile oil is considered one of the safer oils to use on your children. Next, we have lemongrass oil which is simply one of the very best essential oils to treat a fever. It has antipyretic, anti-inflammatory and analgesic properties meaning that it can help reduce your body temperature as well as relieving the associated muscle aches and pains. It is a popular remedy for headaches caused by colds and flu and is also used to relieve toothache. Dilute a few drops of lemongrass oil with your choice of carrier oil and apply the mixture to you or your child’s neck, temples and feet and you should start to notice the results. Last on this list but by no means least is the world’s most popular essential oil. Lavender oil is used for a wide range of maladies and is often associated with its calming influence. But did you know that it also has antipyretic properties as well as analgesic and anti-inflammatory actions that help reduce fevers and ease the associated pains. Lavender essential oil is one of the mildest of all essential oils and one of the very few that can be used without dilution. It is considered to be safe for young children but we recommend diluting it before use. Add a few drops of lavender oil to a cold towel and press it against your neck and temples. Alternatively add a few drops to a cup of very cold water and soak a sponge in the mixture to give yourself a soothing body bath. 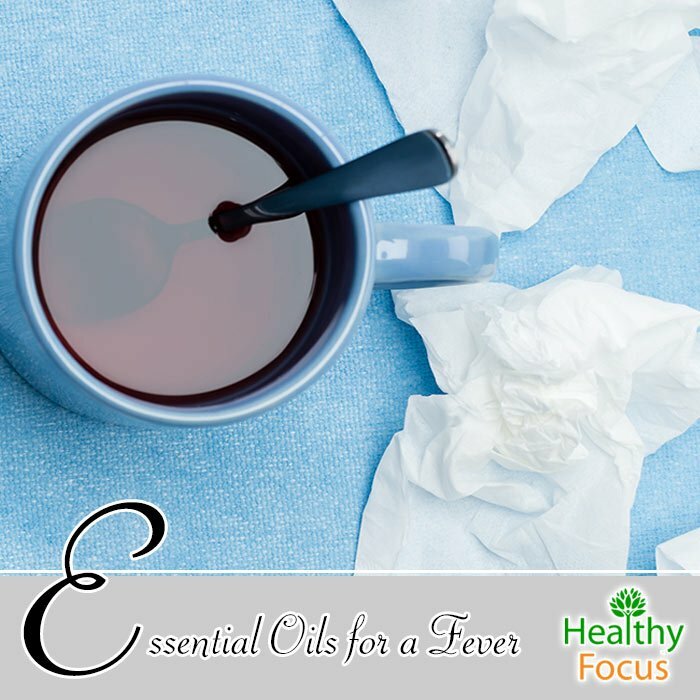 Note: While essential oils can help to reduce your fever, you should not treat serious fevers lightly. If your fever persists for more than a few days, it is important that you get professional medical help.